Welcome. 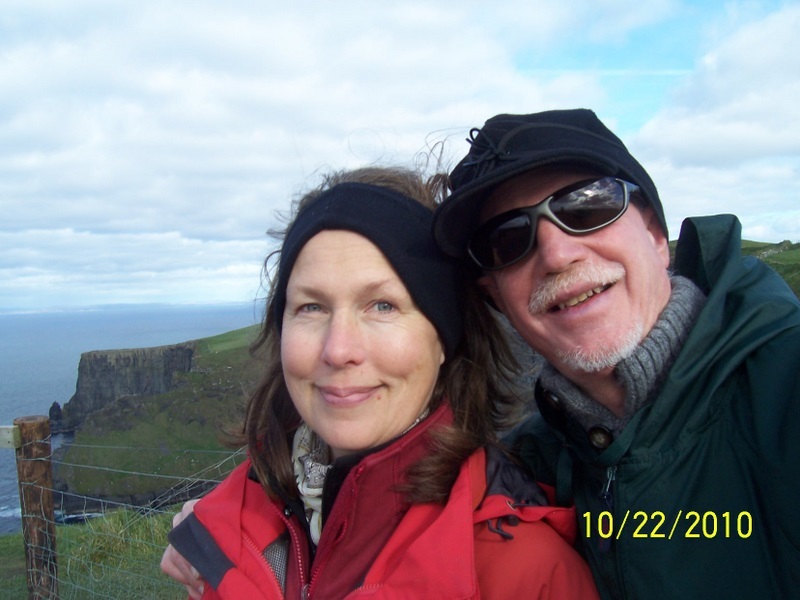 Here’s a photo of my wife Lois and me goofing around. We’ve paddled the Minnesota Boundary Waters together over several years and I’ve done some short forays on Lake Superior, a trip to Quetico as well as several other Mid-West rivers. My buddy Dave up in Alaska put me in a tandem Klepper and we paddled around the waters off Valdez in Prince William Sound. Here’s a few photos of our Mad River Malecite in a sleepy backwater of the St. Croix river just south of Marine on the St. Croix. In the spirit of full disclosure, I’d put my rear end through the caning of the stern seat by day’s end. I think the stuff was brittle with age. 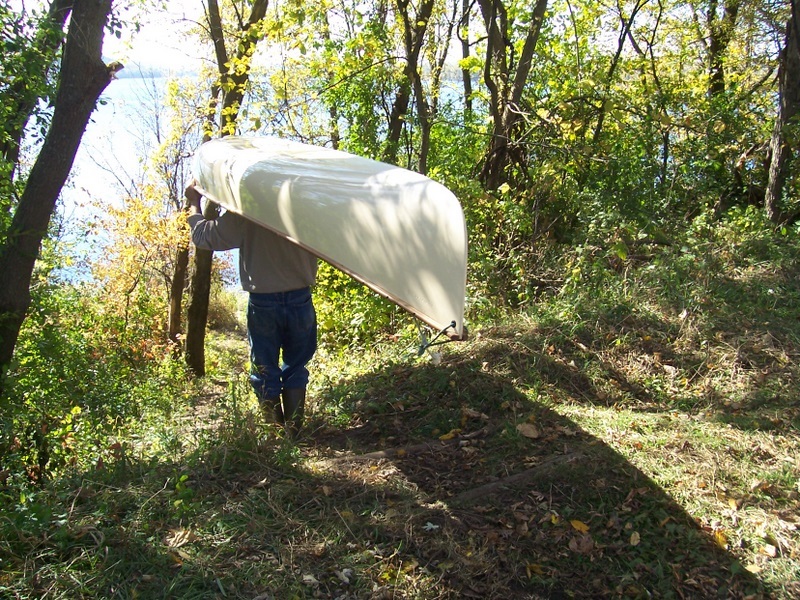 This was the maiden voyage of our new but previously owned canoe. Now, look carefully at the top portion of my head. though familiar with my rantings about such a paddle over the past several years, has no idea that I’m this close to springing the plan. Am I going to finish the trip? Well, the chances have greatly improved with the counsel of some great and generous paddlers and equipment manufacturers and sellers. At least I’m more informed. And I’m more confident that I can build on my knowledge, skills and overall fitness over the Winter and Spring. 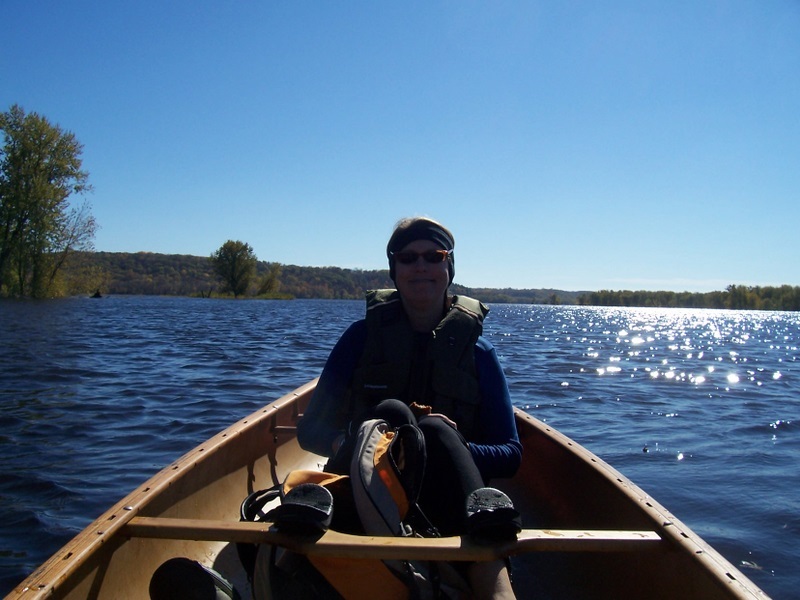 I want to do this and do it now for several reasons – adventure, personal challenge, love of paddling and love of paddling the St. Croix in particular. 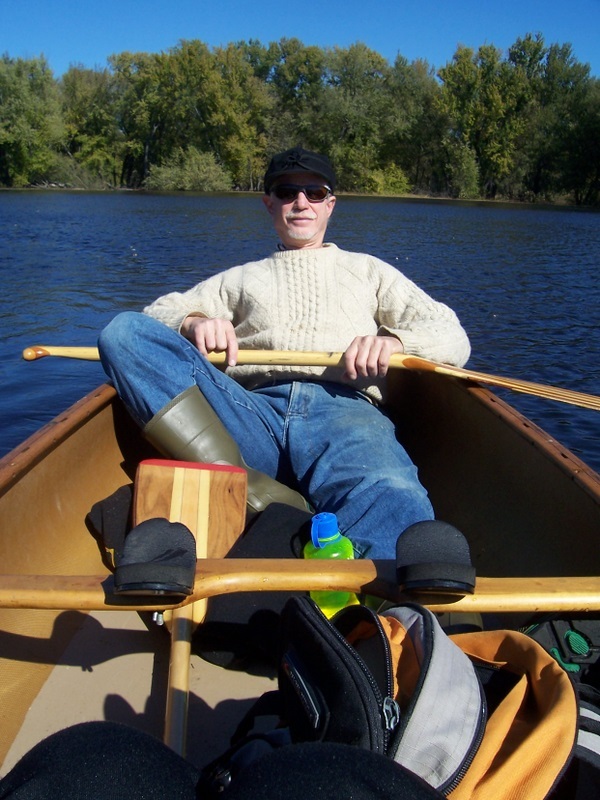 The St. Croix is protected but mistreated. Private interests continue to press against public policy legislated to preserve scenic waterways and I’m worried about that. The route, in total, is a lovely package – four rivers, several medium-sized lakes, one really big lake, history, geography, geology, and nature with a historically significant place to begin and end. I want to try my hand at writing and I hope this trip makes a good story in the telling. Now? Well, fates permitting, I’ve staked out the month of May where I don’t have to be somewhere else each morning. Also, I’m 55, old, but not real old. I hope I’m saying the same thing when I’m 65 and 75. So thanks to Lois for her love, encouragement and tech support and to lots of other kind folks who have given me their time and counsel. You’ll be hearing more about them. Ahemm, yes, won’t Lois need some fresh greens in addition to all those frozen entres? Corey Dear, I think this is just the loveliest of ideas! I think I may have to plan a trip of my own soon! Corey – Well done! A Blog! I love the layout and mix of info and photos and music. you are a grand writer. 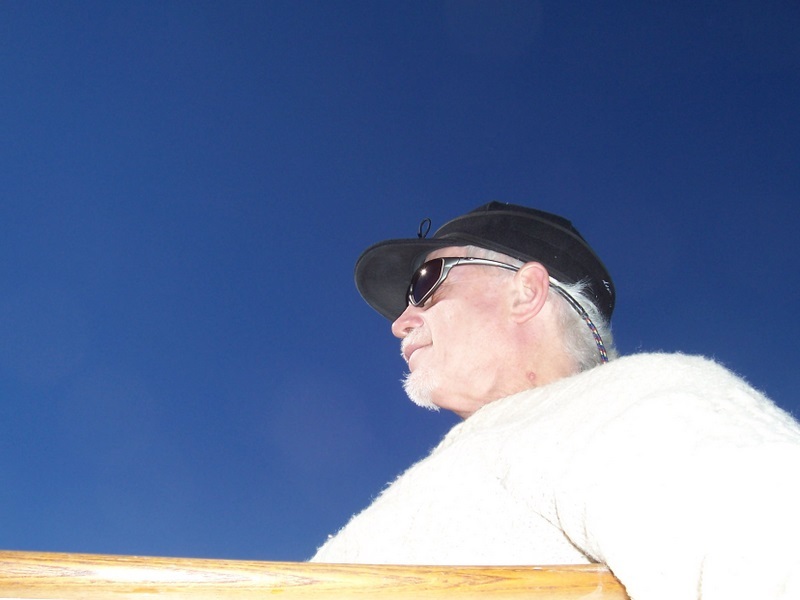 and a brave soul to plan such a journey….can’t wait to hear more! Cindie, Thanks for the vote of confidence. I’m planning on keeping this a fun site to check in on. Corey “The Elder” – love the website. Now I know what you do with all your spare time! 300 miles, I hope you have an outboard stashed in that canoe of yours. Good luck and keep the tales of Corey-lore comin’. Your pal, Dave. Hey, I know I’m new around here … but isn’t that all uphill?? Wow, Corey, how exciting! This is my first time visiting a blog, so feel duly complimented. I’ve mentioned to you before that you are a good writer. That surfer was way cute, if a little nuts. Don’t be trying any of that on your trip. One more comment: I recall that the Whitefish livers on Madeline Island were delicious. Perhaps it is because they are small, and drenched in something like butter. (I do not/cannot eat other liver.) I suggest you celebrate by sampling some when you get there, with a little champagne! Hi to Lois; we miss you both very much.